SUCCESS : Thank you for subscribing to Gobi March (Mongolia) 2019 Breaking News. The Stage Updates below are from the 2018 edition of the race. 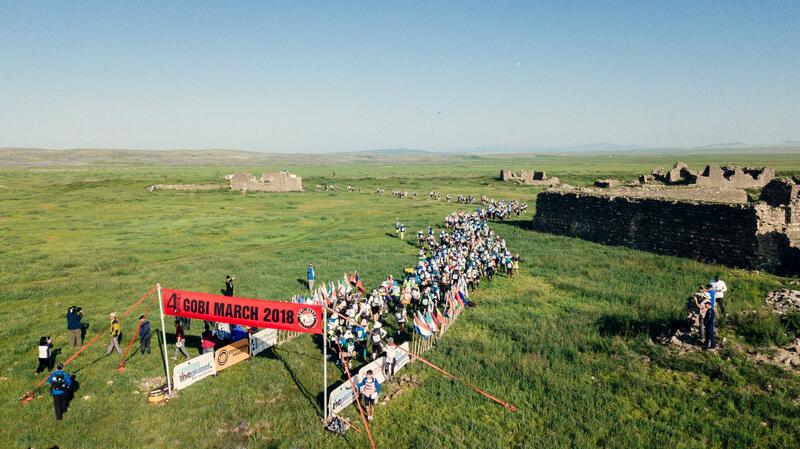 The first Stage Update for the Gobi March 2019 will be added in July 2019 when the race starts. Today is the last day before the Gobi March (Mongolia) 2018 starts! 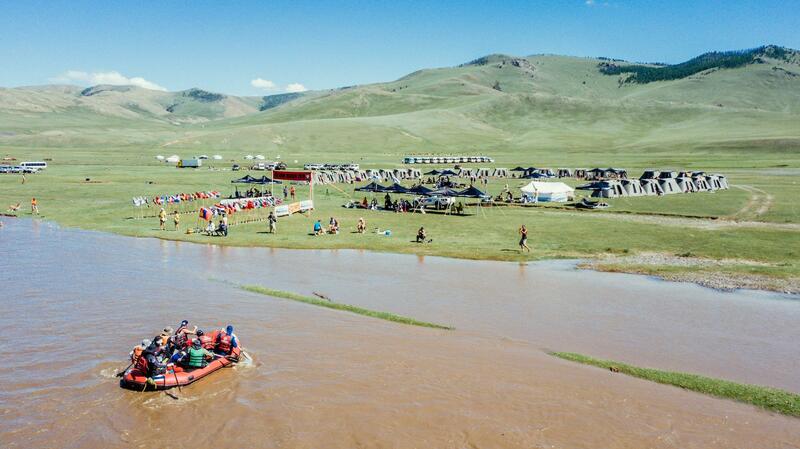 They had a race briefing, race-check-in (where all gear was checked, forms signed, doctors met and race items picked up) and after a final shower, meal, re-pack of their backpack, they boarded buses to leave for Camp 1 in the Mongolian Wilderness. At the pre-race Briefing all participants were given reminders on rules, safety and information about the course and expected weather. A special congratulations went to Wong Ho Chung, Alice Lee and Celvin Tseng from Hong Kong who won awards at the annual Hong Kong Trail Running presentation last night (but could not attend being in Mongolia). Gunnar Nielsen from Norway was also given a special mention as he was at the very original Gobi March in 2003. 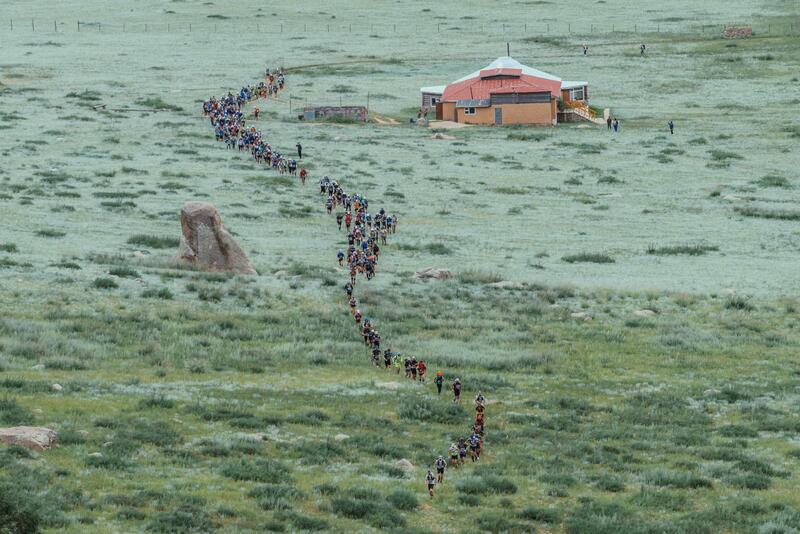 After a long journey from Ulaanbaatar on a bumpy road, all 232 competitors plus staff arrived at Camp 1 in the Ruins of Khar Bukhin Balgas Palace where the sun came out and Mongolia showed off it's beauty and wildness. They were welcomed from by local musicians and performers before competitors settled in to their new surroundings and meeting their tent mates for the week. It got dark around 9:30pm. Camp 1 is now peaceful with competitors inside their tents sleeping / resting. Preparing themselves for the Gobi March (Mongolia) 2018 to start tomorrow. 40km / 25 miles lay in wait for Stage 1. Natalie Hall from Australia describes Camp 1: "the scenery is stunning – the ruins we are staying at smell of thyme & cloves. The sun is setting and looks spectacular, pretty excited now for day 1 tomorrow"
Stephen Wise from Scotland "The scenery was just incredible – rolling hills, green steppes, wildlife. As the journey progressed, the skies cleared and we arrived at Camp 1 a glorious evening. The views across the plains is just breathtaking, as was the sunset." 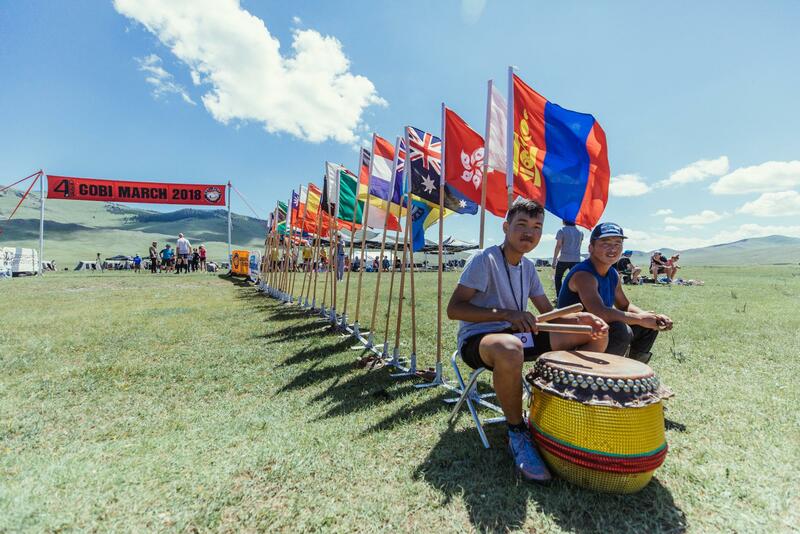 Jacqui Bell from Australia "We were greated by local Mongolian performaners – music and a young girl doing some crazy cool moves! At one point she held her entire body weight in a back bend with her mouth just clentching a mental piece….ouch! Such a beautiful night here in Mongolia – the weather is absolutely perfect, everything is so green and we are set right beside a big ruins which has some history to do with Ghengis Khan"
Marc Schneider from Germany said "Now we arrived at the camp. It is a beautiful landscape and I am happy to run here from tomorrow." Tomorrow, Sunday 29 July, the race will get underway at 8am. The competitive field includes Wataru Iino, 38, from Japan who is the 2017 winner of BadWater; Vicente Juan Garcia Beneito, 42, from Spain who was the 4 Deserts Champion in 2012 winning every 4 Deserts Race in the same year with some records still remaining as well as winning the Namib Race 2018; Wong Ho Chung, 31 from Hong Kong who was runner up in the Namib Race 2018.Others to watch include Kyle McCoy from the United States, Ben Fox from the United Kingdom / Hong Kong and Luke Atkins from Autralia. For the women Isabelle Sauve, 42, from Canada, the Namib Race 2018 women’s champion ; Angela Zeah, 38 from Germany who is the Atacama Crossing 2017 women’s champion; and Chizuru Inoue, 45, from Japan are the favourites to win the race - but anything can happen! Others to watch include Fiona Glen from the United Kingdom, Amie Knoll-Pendleton from the United States.